the Oracle creates caf quality coffee that tastes like youd get in your favourite caf. the Oracle has automatic grinding, dosing, tamping and milk texturing, automating the two most difficult parts of manual espresso. You can extract espresso and texture milk simultaneously, enabling you to go from beans to latte in under a minute. 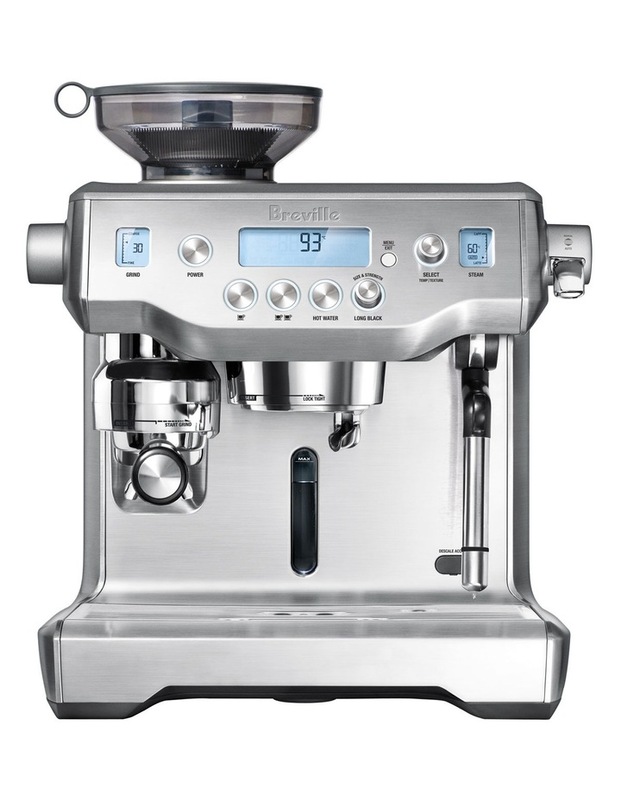 Auto & Mess Free - The integrated conical burr grinder automatically grinds, doses and tamps 22 grams for a double shot, similar to the commercial machine in your favourite caf. Precise Espresso Extraction - Dual stainless steel boilers and heated group head, both regulated by our digital temperature control (PID) automatically delivers the water at precisely the right temperature, extracting maximum flavour potential. The Oracle also features an Over Pressure Valve (OPV). This commercial feature limits the maximum pressure throughout the extraction, helping prevent bitter flavours in the shot. It also has true low pressure pre-infusion, which gradually increases the pressure to gently expand the grinds for an even extraction. One Touch Long Black - the innovative one touch Long Black feature delivers a double espresso, and then separately through a dedicated spout, fills the cup with hot water, the same way as any good commercial machine.